As IoT grows to be a part of our everyday lives, some connected devices share useful information instantly in high volumes, but some transmit data in small nuggets over a long period of time. Popular radio connectivity systems such as Bluetooth and ZigBee are suitable for short-range scenarios within confined spaces such as in the home or a building, and broadband communications are commonly used for mobile devices that demand high data rates. On the other hand, NB-IoT supports applications that require reliable low-power communication and wide-range coverage for small-sized data. To cover long distances with high reliability, as a standard, NB-IoT adopts a data retransmission mechanism that continuously transmits data until a successful transfer, or up to a set number of retransmits. With a high number of these retransmit sessions, the S111 is able to cover the distance of 10-kilometers (km) or more. Exynos i S111 incorporates a modem capable of LTE Rel. 14 support that can transmit data at 127-kilobits-per-second (kbps) for downlink and 158kbps uplink, and can operate in standalone, in-band and guard-band deployments. For long standby periods, the S111 utilizes power saving mode (PSM) and expanded discontinuous reception (eDRX), which keeps the device dormant for long periods of time of 10 years and more, depending on application and use-cases. Exynos i S111 also has an integrated Global Navigation Satellite System (GNSS) and supports Observed Time Difference of Arrival (OTDOA), a positioning technique using cellular towers, for highly accurate and seamless real-time tracking. Transmitted data are kept secure and private with the S111, as the solution utilizes a separate Security Sub-System (SSS) hardware block along with a Physical Unclonable Function (PUF) that creates a unique identity for each chipset. 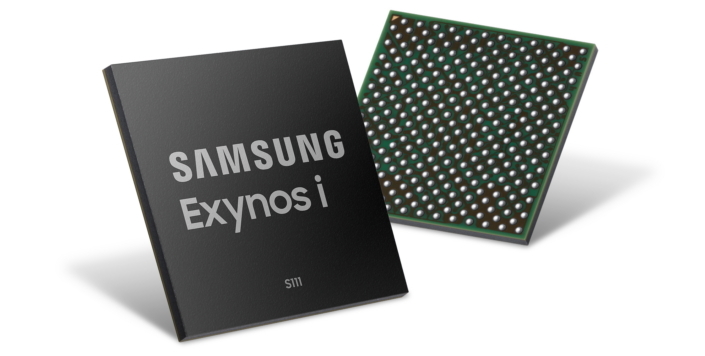 Following the successful launch of the company’s first IoT solution, Exynos i T200, in 2017, Samsung plans to continue expanding the ‘Exynos i‘ lineup with offerings especially tailored for narrowband networks.